MY FRIENDS. I feel like I've been away on a long ocean voyage. The past couple weeks have been busy overflow and the next few weeks are going to be the busiest time of the summer, but I swear I'll get here as often as I can. We were away for a few days last week, and I have a few not-terribly-exciting snapshots of that time, wooo! stay tuned for THAT. 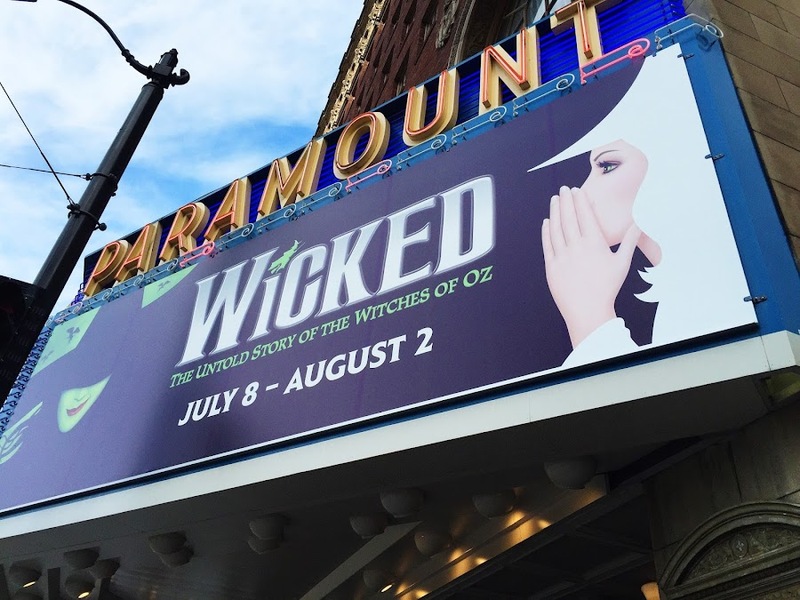 But the most exciting thing....the other night we saw 'Wicked', the stage play, for the first time, at the beautiful Paramount Theater in Seattle. IT WAS AMAZING. One of the best shows I've ever seen in my life. I had tears streaming down my face during the 'Defying Gravity' song, which is the big show stopper number. I had seen it on YouTube so many times, and to see it in person was just a bit overwhelming for me. Julia adored every minute. I wasn't familiar with the show plotline, and I haven't read the book, so after 'Defying Gravity' at the end of the first act, I thought the show was done! That's it, the witch flies into the sky. Show over. UM, THAT WASN'T THE END OF THE SHOW LOL. The two girls playing Glinda and the Wicked Witch were flat out amazing, and the whole thing was brilliant, and now.....I'm going to read the book, which I've had ON MY BOOKSHELF SINCE 1996. I've never read it! I should just call this blog, 'Books I'm Going To Talk About That I've Never Read'. I can't believe I've never read it! 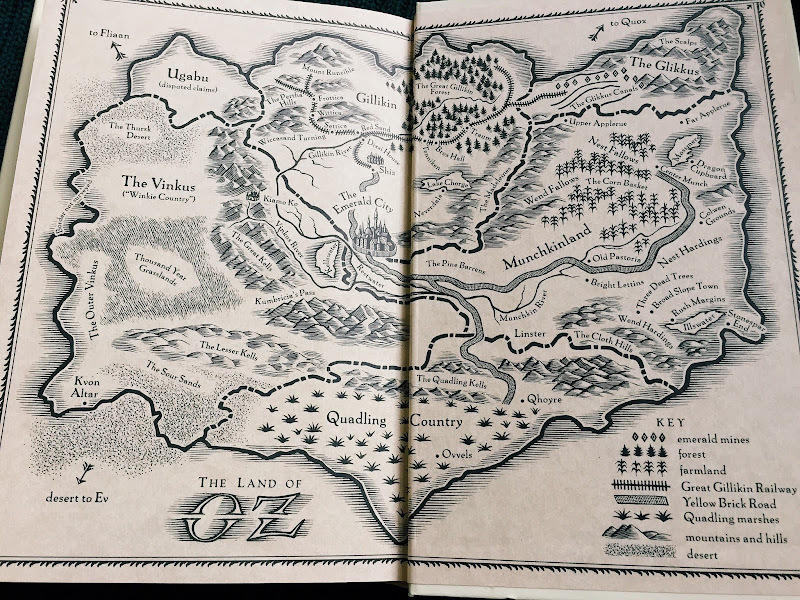 For those of you who don't have a clue about any of this, don't hand it off to your kid - it's adult/YA fiction age fantasy fare about the behind the scenes lives of the witches in Oz, told from the perspective of Elphaba, the green-tinted witch of the west. 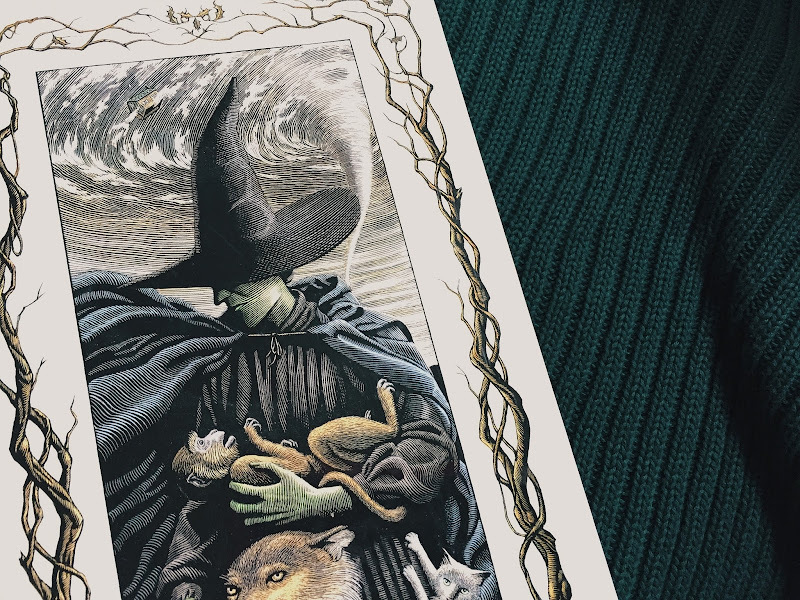 It describes her formative years and friendship with the bubble-traveling (and bubble-headed) Glinda, and then follows Elphaba's hardships in trying to save the magical, talking animals of Oz from destruction and discrimination at the hands of the Wizard, who is NOT a Nice Guy at all. 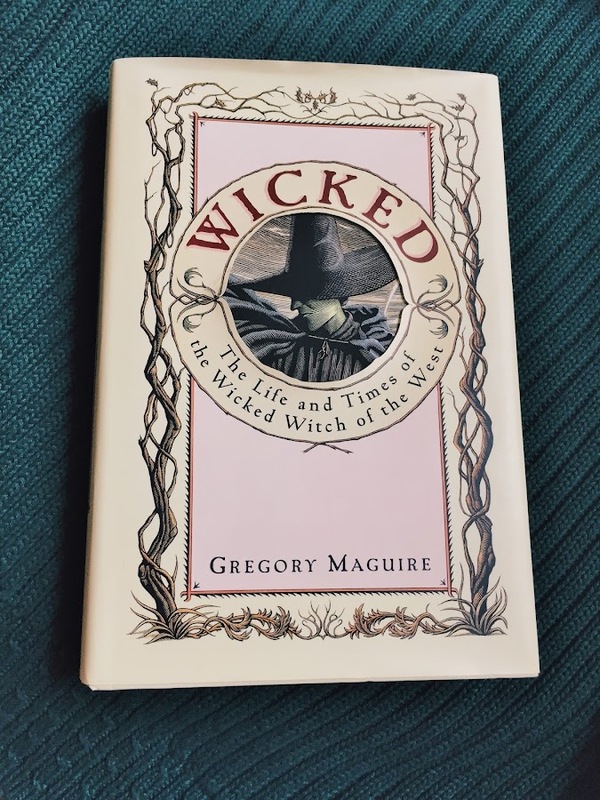 Have you all long since already read 'Wicked'? Or any other Gregory Maguire books? He has several books that feature his alternative takes on the so-called 'villains' from famous stories and fairy tales, like 'Confessions of an Ugly Stepsister', his retelling of the Cinderella story. OOOOOOH, I have another picture, which sadly I can't show you, or I might get into trouble. I took a photo (which I wasn't supposed to) of the curtain inside the theater for 'Wicked' and I'm going to be a tease and not even tell you what it was, because I don't want to spoil the experience for any of you who haven't seen the show, and might in the future. But for those of you who've seen it, SO COOL right? What they did with that curtain? Julia and I were hopping with excitement. I'll give a small clue, because this play has been running for so long, I'm going to assume there aren't many secrets about it. The third photo in today's post. Andrew didn't see the show, as he has a lofty disdain for most musical theater. He cheerily informed me about how "that 'Defying Gravity' song is really mediocre and not good at all". I had a hard time calming myself down after that. Oh girl, both the book & show are my favorites but I BEG you - do NOT read the follow ups to Wicked. They were awful & will turn you off on the author. Ugh! Confession was good though. So many great shows at the theaters this year!! I heard the Lion was is a big PASS, especially. Good to know! I know, I'm super excited about a lot of the shows!!! I have never actually seen Wicked. The year the tour came to town, my husband was furloughed from his job, so we could not afford even the nosebleed seats. I've read the first three books, and yes, even though I own the last, I haven't brought myself to reading it yet. I really disliked the third. While I do like Wicked, I LOVE Confessions of an Ugly Stepsister. I need to read some of his others, including the recent YA retelling of Baba Yaga. Someday you will see it! And I hope you love it as much as I did. Honestly, it's the Ugly Stepsister book that I really want to read, but someone gave me Wicked years ago and I own it, so I guess I'll read this one first and then hop onto the library for the Stepsister book. I need to find the Baba Yaga book!! I LOVE Baba Yaga!! I 've never seen Wicked either -I was so close to watching the show once in London, but I had to save the very little money I had and couldn't go after all. It was so disappointing! I still hope I'll get to see it someday, somewhere! I've watched clips a million times on youtube and I love the book. I also LOVE Confessions of an Ugly Stepsister! I am very curious about that book now! I want to read it so bad! I hope you'll enjoy your next following days despite how busy you are! Great choice on books as always! Have a good weekend Melissa! 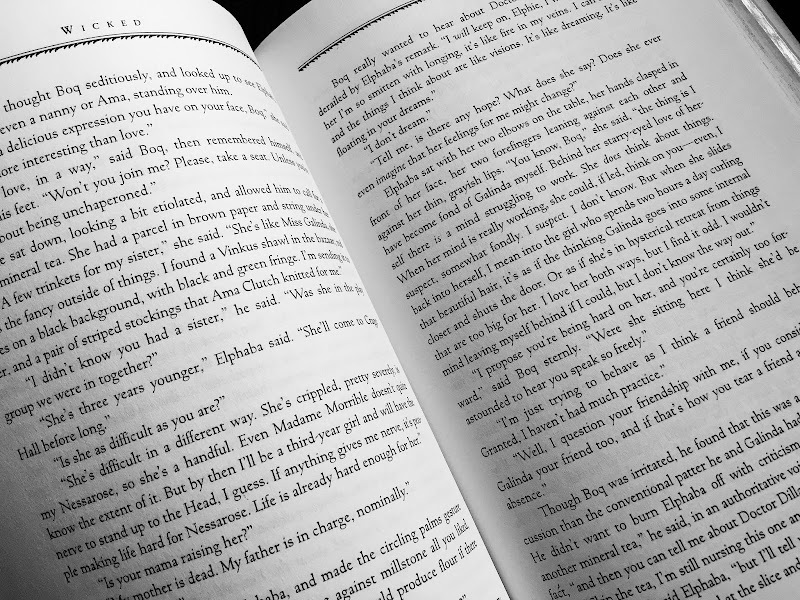 Sad to say this but "Wicked" is the first book maybe ever that I actively decided not to finish. But I do hope to see the show one day. My mom raised on me musical theater at The Orpheum. Kudos to you for taking Julia!